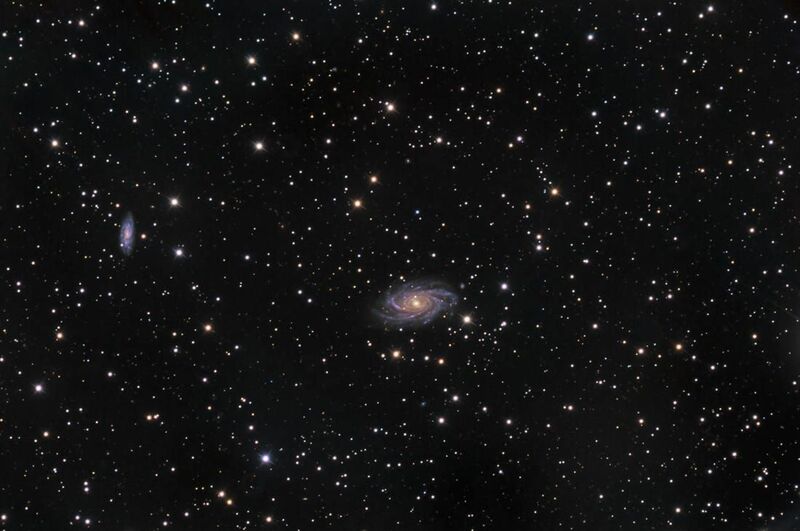 are a non-interacting, visual pair of spiral galaxies, in a constellation named for a giraffe. NGC 2336 is the barred, semi-face-on spiral at center, and was discovered by Ernst Wilhelm Leberecht Tempel in 1867. IC 467, towards upper-left is also a spiral, albeit somewhat irregular. Both galaxies are 100,000,000 light years from Earth. The data was acquired at New Mexico Skies in 2013.